Having previously enjoyed success with Dublin Bus, Carl was brought to the club by Tom Maher in late 2008. Initially playing as a centre forward, his first goal for the club was an exquisite chip over a marooned Terenure College goalkeeper, completing a 4-0 win. His enjoyed a strong finish to 2010/11 campaign under Alan Burns, when he established himself in the second team line-up alongside Collie Barrett as a burly striker with a sharp burst of pace. Carl went on to be a fixture in Paddy Hughes’s second team line-up as a tough-tackling right back, and was a member of the squad which won the 2014 Arthur Lynch Cup, before leaving the club to emigrate to the UAE. Upon his return to the club in 2017, Carl made a spectacular impact for the seconds, netting seven goals during the final month of the season to claim the top goalscorer award, including a hat-trick against Blessington and doubles against Mid-Sutton and Kill Celtic. He also made his first team debut away at St James's Gate. 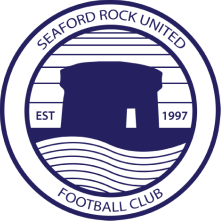 Carl surpassed 100 appearances for Seaford during the 2017/18 season, and began the next campaign with an opening day hat-trick against Blackrock College.